This guide lists resources that are useful for doctoral students conducting research on topics in marketing. What do I do? The Business Library doesn't have the book or article I need. If you need books or articles that the Business Library doesn't have, we can get them for you! The service is called Interlibrary Loan. Books are picked at the Business Library or mailed to you, and articles are emailed as PDFs. Be aware, an Interlibrary Loan request can take 2-7 days to process. If you are not able to come to campus to pick up a requested book, add another 7-10 days for the mailing process. Fill out the Interlibrary Loan Form. Google Scholar is a good place to search for an author and to find conference proceedings, pre-publication works, and other gray literature. You can also find other papers that cite a specific work. To link to GGU library subscription databases (to find full text) from Google Scholar, you need to set the Library Links to GGU in Settings. How do I know which library database to use? GGU librarians have created research guides to help jumpstart your searching. Use these guides to find the appropriate databases and other resources. Full list of research guides. This guide lists books, databases and websites on a variety of marketing topics including: consumer behavior, advertising, direct marketing, finding demographics and much more. A guide containing instructions and examples for using APA citation style. A citation manager is also called a reference manager and bibliographic manager. It is a database that you build – create lists of articles, books, reports, videos, webpages, etc. Software specially designed for students, scholars, and writers. 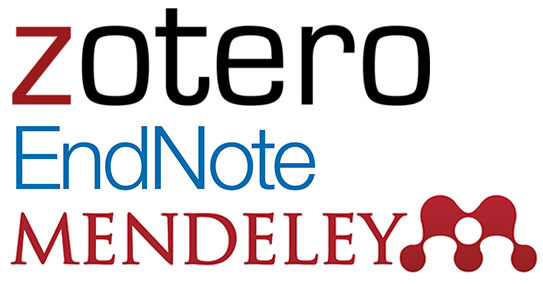 Formats and generates bibliographies (reference lists) using the citation style you specify. Store, search and organize your research. Add notes, links, PDFs and other file types. When should I use a citation manager? Why use a citation manager? Use the Citation Manager Guide to answer these questions and to find helpful resources.